Chase Continental 25,000 Mile Checking Account Offer Can Now Be Opened And Funded Online! Update 3: Warning: Do not fund the account with a Citi credit card as they appear to be charging a cash advance fee! Update 2: Extended through 06/30. Update: I received 2 letters via snail-mail from Chase with tracking numbers for 10,000 Continental miles and 15,000 Continental miles respectively. Both letters had a contact number for a personal banker to speak with and my correct Continental Onepass mileage number listed on them without my having to call up Chase to supply it! I posted back in August about the new Chase bank account offer that awards 25,000 miles without the need for direct deposit as was required in the past. They gave the option to make 5 debit transactions instead of requiring direct deposit. -With a Continental debit card you also get a free piece of checked luggage for yourself and anyone else on your itinerary when you fly Continental. See Dansdeals.com/baggage for all baggage fees and exemptions. 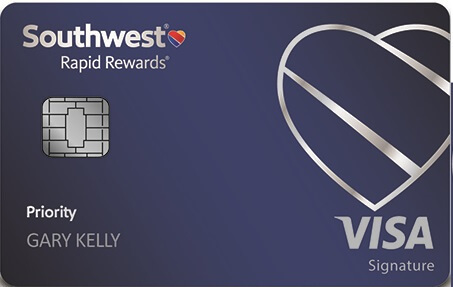 -The 25,000 mile consumer offer requires making 5 purchases on a Continental debit card which carries a $25 annual fee. The card earns 1 mile for every 2 dollars spent. 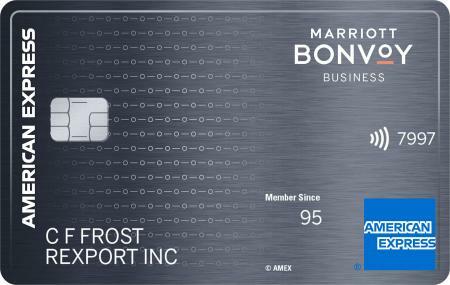 -The 25,000 mile business offer requires funding the account with $500 and making a purchase on a Continental debit card which carries a $65 annual fee. The card earns 1 mile for every dollar spent. -The terms state that you can get the miles for each offer once per calendar year. -Based on advice in this thread on the Dansdeals Forums I was successfully able to open a consumer account online by using the unique coupon code generated when you click on the offer links above! Just generate your own coupon code, and apply for a checking account online. The “Chase checking” account is free with 5 debit transactions in a month. The “Chase better banking” account is free with a $1,500 balance. -Be sure to also request the $25 Continental debit card when you apply online. 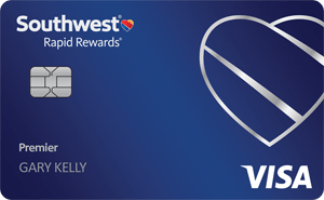 -I was able to fund the account with $500 from my Chase Continental credit card, thereby earning another 500 easy miles! You can fund the account with any Visa or Mastercard for up to $500. It specifically says that it will count as a purchase, not as a cash advance. -You must fund the account with a minimum of $100 of new funds. -There is no need to open a savings account, you can however fund it with another $500 if you choose to open one. -If you’re worries about getting the miles, you may want to make a printout of the offer during the application when it mentions the 25,000 miles. -There is no place to enter in your Continental Onepass number, so you will have to call up Chase after you receive your debit card to supply them with your mileage number. -Only the consumer offer accepted the code for me online, the business offer did not work with the code online-you’ll have to go in a branch for that one. -On an account that I opened last year 22,500 miles posted within a few weeks of making the 5 debit purchases, and the remaining 2,500 miles took a of couple months. -I was able to make 5 debit purchases at a Sam’s Club gas station for $0.02 each which qualified for the miles-so there is no minimum on the 5 purchases. 128 Comments On "Chase Continental 25,000 Mile Checking Account Offer Can Now Be Opened And Funded Online!" Can u merge co accts ? If they’re under the same name, sure. If i opened the account when you had the offer in August can i do it again? You mentioned that you opened a personal acct in 2009 as well (as did I). Did you have to close that one first before opening this newest one? No, you are able to have multiple personal and business checking accounts at Chase. can you cancel to avoid the yearly debit card charge? have to close the account or just the card? Must you keep the account oupen until all of the point post? If yes, do you need to make debit purchases each month? Can the account be closed online/phone, or do you have to go into a branch? Would i be able to open the account, make the 5 transactions, and close the account, without paying the $25 and still getting the miles? so why cant i open 2 consumer accts & make two new onepass numbers & merge them later on. or perhaps numerous. will this work with chase college checking???? I opened an account in november, the 10000 poseted about a month later but the 15000 still didn’t post… Any ideas? How long is it supposed to tak? And when can I close the account for free? Call them regarding the points that didn’t post. If I’m not mistaken you could close after 3 months, prior to that time frame it would cost you 25$. 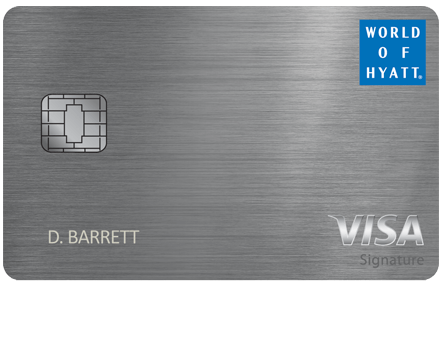 You should be able to switch to a no annual fee debit card, whether they give you back the $25 is up to the rep. Yes, you prob need to keep the account open to get all the miles. The post explain the 2 types of accounts and what you need to do to keep them from charging you. Is the $25 that big of a deal when it comes to earning 25,000 miles? Like I said you may be able to convince a rep to refund the $25 if you switch to a free debit card. Sure, no connection between this and any credit card offers. Go ahead and let us know what happens. I’d assume it’s for the opening of the account. I think the $25 early closure fee may be for 6 months, although I’m not positive. My wife and I both opened personal and business accounts at our local branch yesterday; we had both opened personal accounts in late 2009. Since we have our mortgage with Chase, the CSR offered the Personal Premier Checking; Premier Checking does not require the monthly debit card usage or direct deposit (no fees for up to three associated checking accounts!). Of course, the initial debit card usage is required to get the bonuses. 25,000 x 6 = 150,000 miles between the two of us; pretty cool!! Sprint just imposed a $4.99 per month surcharge on all mobile phone accounts that have spending limits in place. Is this a change that qualifies to get out of a contract for free? you can fund a chase account from a chase Credit Card, and it counts as a (points bearing) Purchase? I don’t have a Continental Onepass number. Where/how do i make one? Nice, definitely let us know when those miles post. However it does seem that the “premier” account requires a $15,000 minimum balance. Yes you can fund with any Visa/MC and when you fund it it says that it will count as a purchase, not a cash advance. that this offer is valid even for someone who can’t get more credit cards, due to so many outstanding balances. I assume that it’s only a bank account and therefore he would be eligable for this offer. This isn’t a credit card, so I don’t see why one should affect the other. I previously have a checking account with chase and I am the primary and my wife is on the account too. When I try to apply for the checking account for my wife it will only let me add her as a secondary, and I need to chose another debit card for me and then one for her. Will this open a separate account or will just add it on to the one I recently opened? When it says that you need to make 5 transactions, is that EACH month, or only for the first month? Are you signing into your Chase online account when trying to open an account for her? Again, you need 5 debit transactions to earn the 25,000 miles. If you choose the basic “Chase Checking” you also need 5 purchases per month to keep the account fee-free. If you choose “Chase Better Banking” you need to maintain a $1,500 account balance to keep the account fee-free. I had this offer last year, and tried it again but the Chase system would not allow the bonus miles to be added. Chase banker says ad should have read “12-months” instead of “calendar year”, because that’s what the system is allowing. Anyone else get accepted/rejected who had this offer last fall? Dan?? You had no problem?? Why didn’t you also open the savings account so you can ‘deposit’ an additional $500 from a credit card and earn an extra 500 miles? Yes, I can’t do it otherwise because when I try to open it only in my wifes name it says that she already has an account. Didn’t realize that you could fund both with $500! But if you do open both they will likely charge a early-closure fee for both the checking and the savings. You are allowed more than one account though? First of all, thanks for answering my previous question! Second please help me with this one: Could i still apply for the “Continental Airlines World MasterCard 35,000” (http://www.continental.com/web/en-US/content/products/chase/continental.aspx?offer=WL35C&mkid=6QR7) if it says “This one-time bonus offer is valid only for first-time Continental Airlines personal cardmembers with new accounts. Existing Continental Airlines personal cardmembers/accounts are not eligible for this bonus offer.”. Basically does that restriction include this offer? Also, whats the annual fee for that card? To qualify for the reward you must open a new Chase CheckingSM account with a $100 minimum opening deposit of new money (money not currently held by Chase or its affiliates). So, Dan, if you used your Chase Continental Debit card, how does that qualify as “money not currently held by Chase or its affiliates”. Also, I opened my new account before reading the fine print, and I funded it with money on deposit with an existing Chase checking account. Is there anything that I could do at this point? Last year I opened two bank accounts with this promotion. This year I was rejected in the the bank when I attempted to open a business account with this promo, so instead I gave the banker a $200 voucher. However, I successfully opened a personal account online. He used his chase continental credit card, not debit card. I just got an email after I applied from Chase, but under the line where it says “Your coupon reward(s):” there is nothing listed. Does that mean my coupon didn’t process? Has anyone got a confirmation email from Chase that I can compare to? I have the same issue as eli. I got 10,000 but not the other 15,000. What gives? I put in less them 100 dollars. Will that be a problem? receive 10K airmiles instead of the 25K. I funded these accounts with my new BA card, so now I only have to spend another $1,000 in the next three months to earn an additional 50,000 miles. Does anyone know if the business accounts could be funded with a credit card as well? -wait you can just fund the account with a credit card and it counts as a regular purchase and accumulate miles??? -why not do another $1000 to get the 50k?? Are you referring to the consumer account or the business account? It’s limited to $500 per account. Give it time, or call them up. You need to fund it with $100. I wasn’t able to fund any account in my local Chase branch on a credit card, but YMMV. @Dan/Ctownbochur: Call them up … and tell them what? I only put in 35 dollars, what do i do now? is there anything i can do to still get the points? do I still have to keep the account open can I close it? The business accounts debit card costs $65 annually . As per the chase branch in Lakewood NJ for the business account you no longer have a option for the $25 annual fee card. Does anyone know of a way to change the name on the onepass account?? Call them to fund it with $100 not currently at chase. No, just call them up to fund it with the required amount of money. That’s true, just like I wrote in the post about the business account. Does anyone know of a way to get someone else to sign up for the account, and I can get his miles? I.E. I get a couple friends in yeshiva to open the account, I hock out all the debit card purchases, and I somehow get their miles into my (central) account? Or give them my Onepass number? how do i give them my onepass number? I was wondering which airline with the star alliance would have the best first class to isreal. Continental costs 300K, so that out. Need your advise: is “debit card purchase” defined as transaction with pin entered or without pin entered? thanks! Call them up once it’s opened. Continental does not charge 300K. You need to make 5 purchases without using your pin. I opened an account on 1/11/10. My deposit shows now – how long does it take to see the points in my account? whats the easiest way to make 5 debit card purchases a month? Go to the gas station and charge 5 cents, 5 times. Pay your wireless bill , internet bill, phone bill online and pay in increments of 5 cents. Can continental miles be transfered to another airline? which ones? It can take up to 2 months after you make the 5 debit card purchases for the miles to show. They located my number automatically! Generally speaking you can’t transfer airline miles into competing airline miles at any worthwhile rates. You can use however use your Continental miles to fly on dozens of partners and Star Alliance carriers. Just got approved for another chase checking account. Open one last year, and trying to get it again. I only put $25, ill go back and fill in another $75. P.s. I did pull off executive platinum. Anyone want bussiness class for cheap? I just tried again to call Chase and link my onepass account to the above account. No one seems to understand what it is I am talking about. Maybe I am not understanding? How does the above account get linked to my onepass account? or, do I get reward points that can be transferred and used towards my onepass? I am giving you my email address should you want to explain this ti me. Maybe I am the nincompoop! Dan can you please tell me do they automaticaly run a credit check on you when you open the account online? In the branch i told them i dont need overdraft and they didnt run a credit check. but online it seems automatic as there is no option that asks if you want overdraft or not and by the esign at the end it says “you authorize us to check your credit”. Please let me know because i dont want any more inquiries on my report! please figure this out for me dan. Thanks! Like I said, it appears Chase is able to locate your Onepass number. Within a few weeks of applying for the account online you should get the mileage tracking numbers and your Onepass number. From what I’ve seen Chase does not do a hard credit pull for opening bank accounts. dan, you say they dont do a hard pull. but what if they are giving you overdraft protection automaticly? would they do it then? Hi. Quick question: we have to make 5 puchases, 1. Do we need to enter our pin? 2. Can I log into my bank account and pay my cc 5 $1 payments?? 3. To keep it free I need 5 transactions, do they need to be with a pin or not? 1. No, you should run them as credit transactions-no pin required. 2. No, they need to be credit transactions. Applied online, chase located my onepass #, made 5 purchases , got my first statement, no bonus miles just spending miles, no letter from chase yet with tracking . Do you think something is wrong? Dan, I just read through the terms on the consumer offer it says not valid on “nj consumer acounts” does that mean people in nj can’t get it? Maybe that’s the reason some people didn’t get the miles. Can you check into this for your loyal readers. It might be an important catch to this offer for us nj people(check it out on the bottom of the ACTUAL COUPON not the first page of the link that tells about the offer) the business offer doesn’t say anything about that however. dan I receve only 12500 plus 11 of the spending? Chase just gave me my $35,000 miles for the Continental mastercard that was just opened on feb 17th. It’s already in my onepass account. Now I plan to do this checking account offer and hopefully get that too. My brother just tried to apply online and was denied based on his credit report. ANY ONE CONFIRM THAT I CAN PAY MY ATT BILL 5 TIMES A MONTH, AND IS 1 PENNY EACH TIME ENOUGH OR DO I HAVE TO PAY MORE? Opened it up at last post and I got the 25K this month!! Can it be funded with more than $500 via cc? How much can I try? Which cc is best? dan – i found this in the archives last month and opened it online. i did not get the miles yet, and i do not have a onepass number. 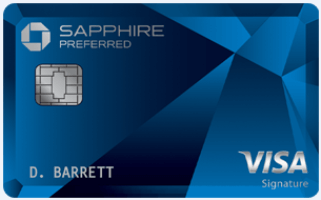 chase said they would supply me one, but it does not list one when i log in. how would you go about this problem? The Chase website is down now – can’t open an account online. Hopefully, will be back up soon. This is the sort of deal I would want, but not open a credit-card for. Does opening such a bank account affect my credit like opening a credit-card does? @BaruchH: how do i get them to change me to a free card? wow dan thanx for answering all our questions 🙂 much appreciated! Was able to switch to no fee card and get refund for 25 and 65 its up to the rep. One said no the next said yes. The website is still down – now, was able to enter the coupon code, but then get error message on the next page…. signed up-it said ill only get 15000??? Chap arain but don’t panic. They usualy renew this offer when it expires. Dan, if I cancel my account after I receive the points, will I loose the points? I see no way to apply online. From the Continental page, it just shows a coupon to print and bring in. How can we apply online? I checked again, and the Consumer Link above only allow you to print a coupon to bring into the bank. There is no place visible to apply online. Am I missing something? The offer has renewed. The new expire day is 6/30/10. It costs way to much money to transfer miles. Looks like it’s been extended to 6/30/10. on the chase sign up page it says you must make 5 debit transactions per month instead of the direct deposit is that true?? I couldn’t open up a personal acct online. I kept getting an odd error during the sign up process. I went to the branch and they got me all set up for both promotions. The one downside was that I couldn’t use my credit card to fund the accts, I had to deposit in money. The bankers that helped me out just withdrew cash from my existing accts and deposited it back in as ‘new’ money into the new accts to meet the deposit requirements. I’ve done my required txns. Now I’m anxiously waiting for my miles! Did you make the 5 debit purchases? I funded the account with a credit card since it states that it is not a cash advance, but just got my cc bill from Citi and was charged $50! When I called, they said it is viewed by Citi as being a cash advance regardless of what Chase says!!! Dan, any advice as to how to deal with the charge? Complain to Chase, they may reimburse it. If I set up a recurring transfer from an account at Citi to this account will that satisfy the “direct deposit” requirement to get the points and to keep the account free? Also, how do i combine this offer with the Mileathon? will automatically post once i register? dan, can I sign up for the business account and get the 25k deal if I signed up already for the personal account deal? Dan Where does it say that using a cc wouldn’t count as a cash advantage? I looked for it and can’t find it. It used to say it, they took it down. So is the cash advance only happening to Citi cards or have folks had issues with Chase cards as well? I assume a cash advance would also not earns points? I opened a personal and a business account succesfully, but when I wanted to open a second business account the teller got a message saying that I already got that offer and wasn’t eligable for another one. Any ideas? can i open a business account online and use this promo? when i opened a personal account it worked. Does it mean to qualify, you cannot currently have any existing chase checking account? On a side note I never received the correct miles. do we still need to do 5 credit transactions with the debitcard if we downgrade it to the free one? i completed the 5 purchases in different months is that a problem did it have to be 5 in 1 month?